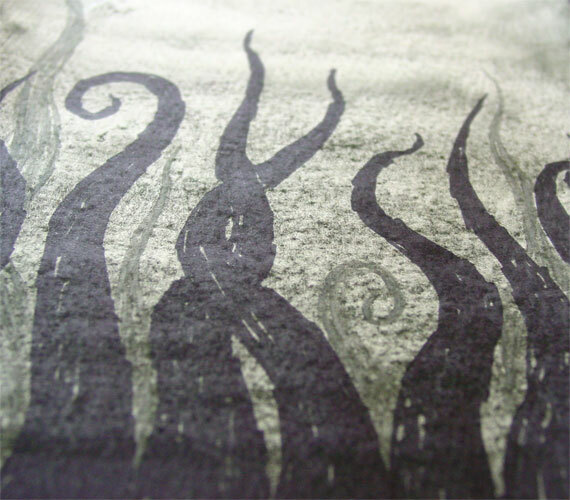 Yet more tentacles for Tuesday! I used a pure wash of zoisite watercolor, and its granular quality dried in a rather squamous, scale-like texture, subtle and matte with a quality to the paint almost like pastel. 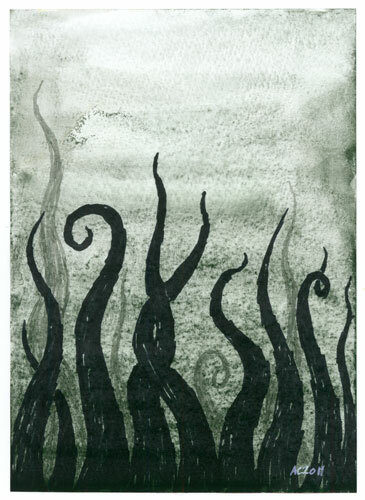 The dusty paint mixed in with the pure Sharpie ink of the tentacles, softening the sharp blacks, but I wanted a bit more so I took a grey brush pen and added in a second layer of tentacles behind the first. 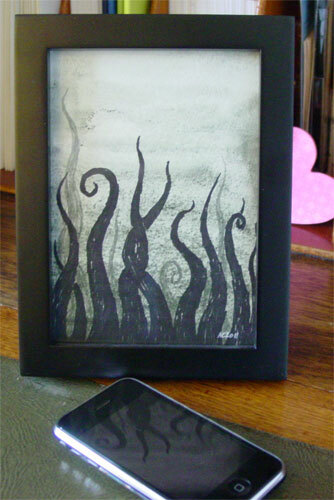 Tentacle Deeps 17, 5″x7″ mixed media on paper. I have to admit, I think every single one of these looks cool photographed from this angle. Plus, you can really see the texture of the paint and paper, here. I always like how they look like they’re rising up from some other dimension held within the frame, too. What can I say, I’m easily pleased by tentacles.